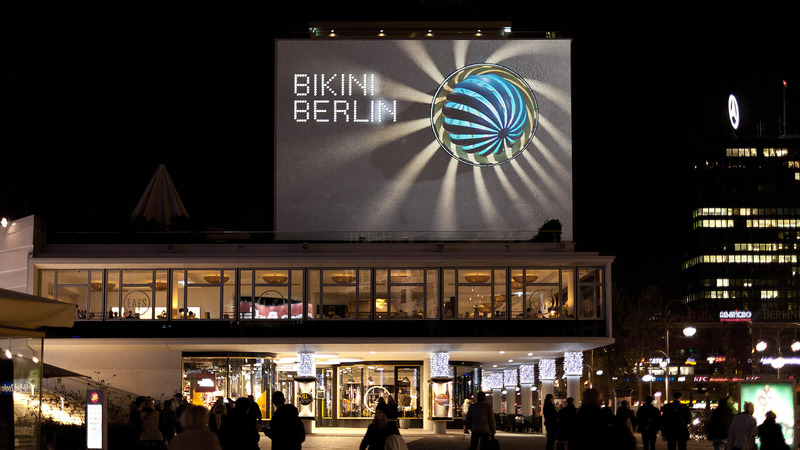 Bikini Berlin is the new cool kid in town – a concept mall for contemporary design and fashion in the landmarked „Bikini-House“ by Paul Schwebes und Hans Schoszberger. 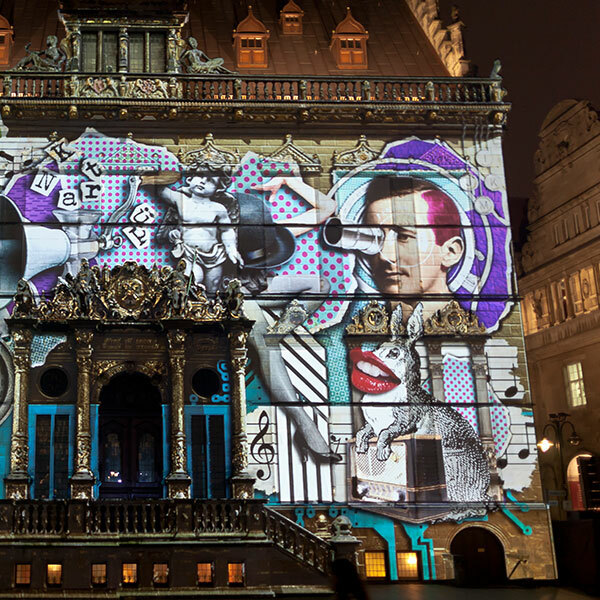 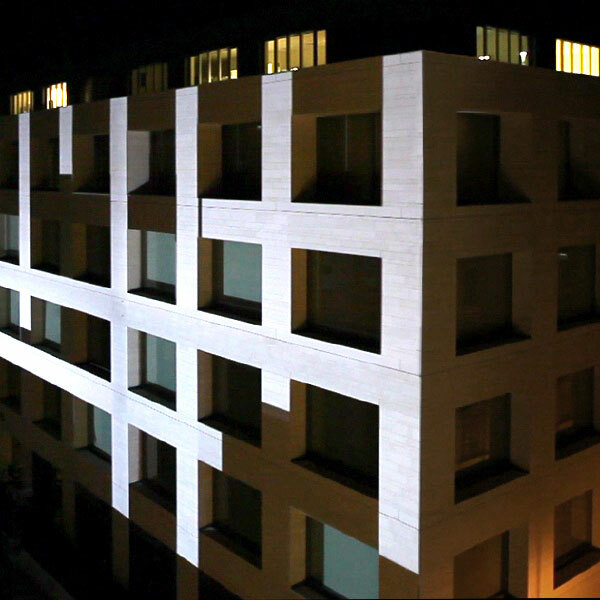 For the winter season 2014 we were asked to stage the front façade of the building complex with a festive light installation. 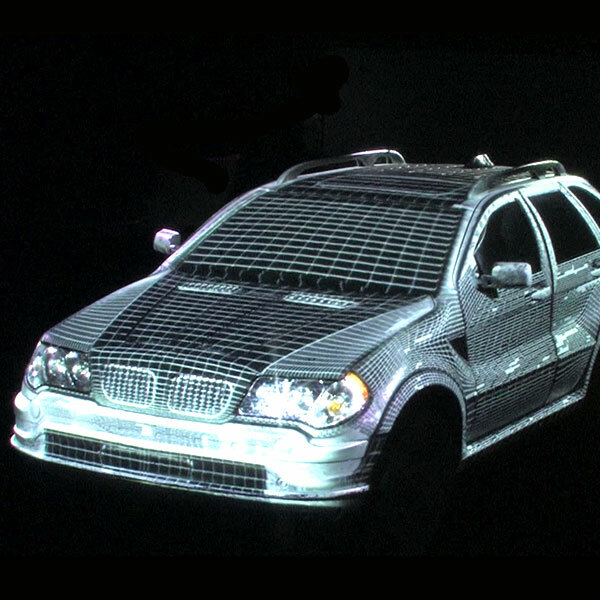 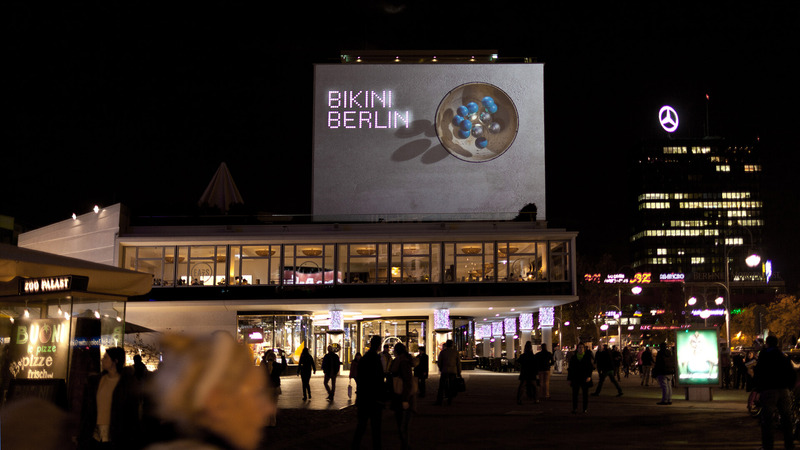 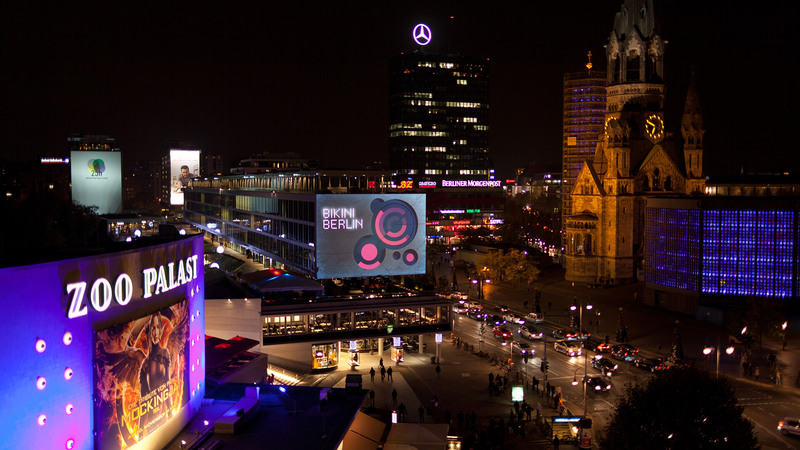 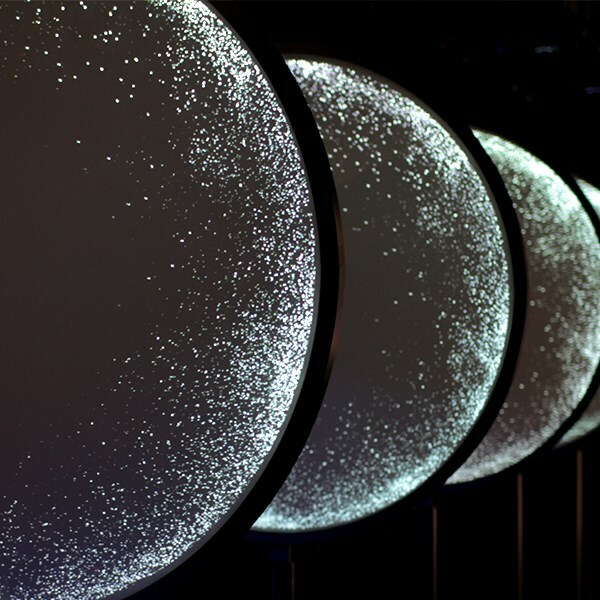 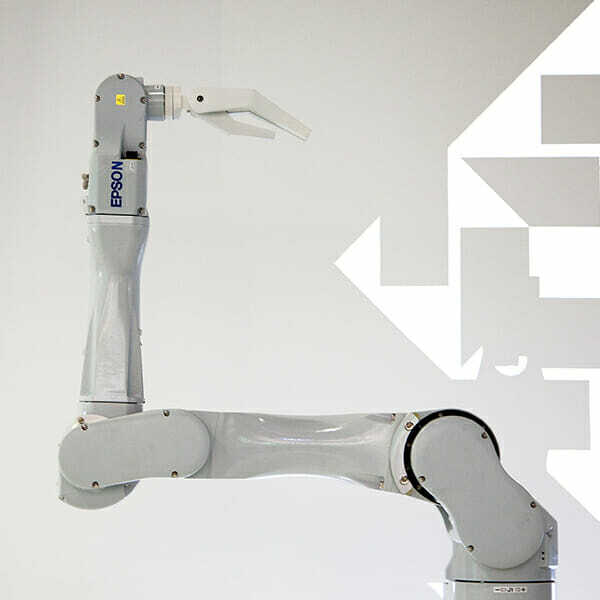 The work is inspired by the corporate design of Bikini Berlin and turns the omnipresent „dot“ into a stage for vivid motion graphics. 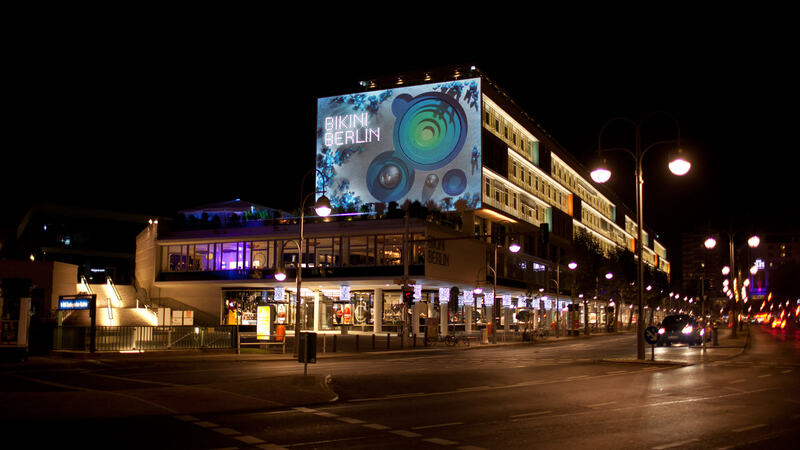 By picking up stylistic elements of Bikini’s winter decoration the piece offers a foretaste of the urban winter landscape inside the building.